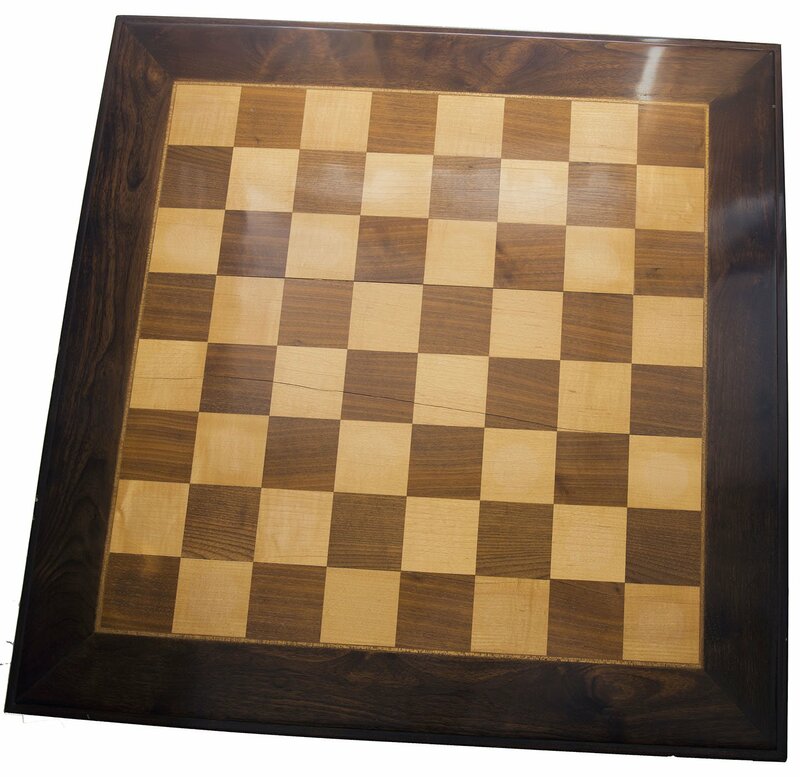 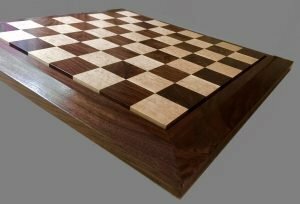 A modern large Standard Traditional Walnut Maple Chessboard with 2-1/2” squares of with a Walnut frame. 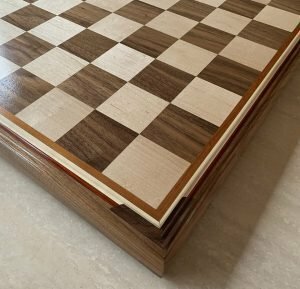 The chess board is like new. The chess board measures 25-1/2” square. 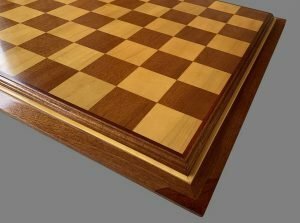 Made by Ferrer, Spain.